*Drone Ball Drop at 12pm! Online ticket sales ended tonight at 11pm, but you can purchase at the event on Thursday. Hundreds of golf balls will shower down and land near a designated pin. The first ball in the hole, or closest to the hole, wins the $1,000 grand prize! 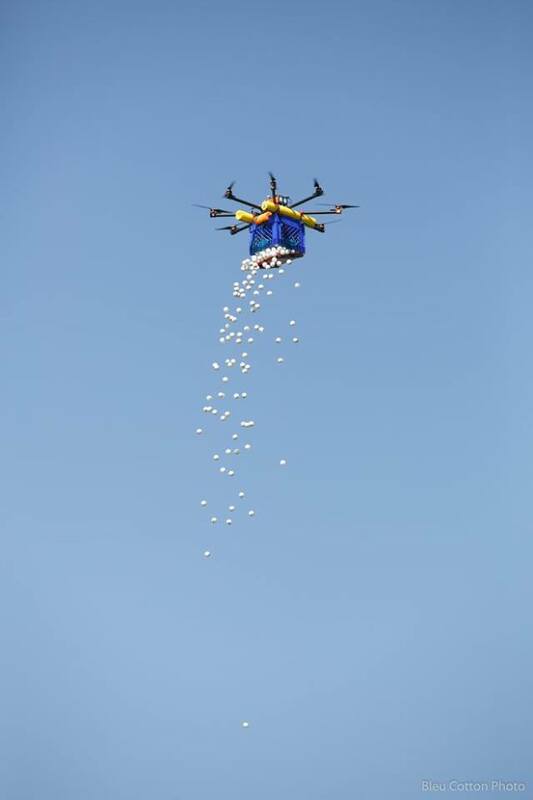 A chance to win $1000 in our Drone Ball Drop at 12:00pm before shotgun start. Hundreds of golf balls will shower down and land in a circle around the designated pin. The First Ball in the hole or closest to the hole wins the $1,000 grand prize! You DO NOT have to be present to win, but it’s more fun if you are!